Looks like Asura didn’t kill off those two after all. She’d much rather let her pet do the job for her. 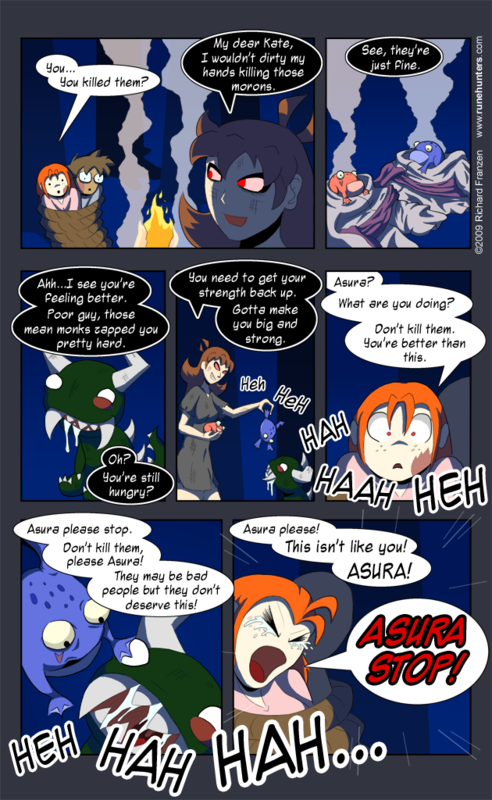 Maybe Asura really is an evil witch, like Heron and Wren said she was. Somehow being digested by a hodag seems even less pleasant than death by magic spell. Hopefully Kate can bring some sense back to Asura. Also, the hodag is back. I wouldn’t really kill him off. I’m not that mean.